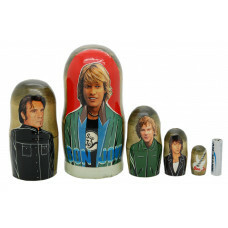 5 piece matryoshka doll set, featuring famous Bon Jovi. This set is made by hand in Russia. 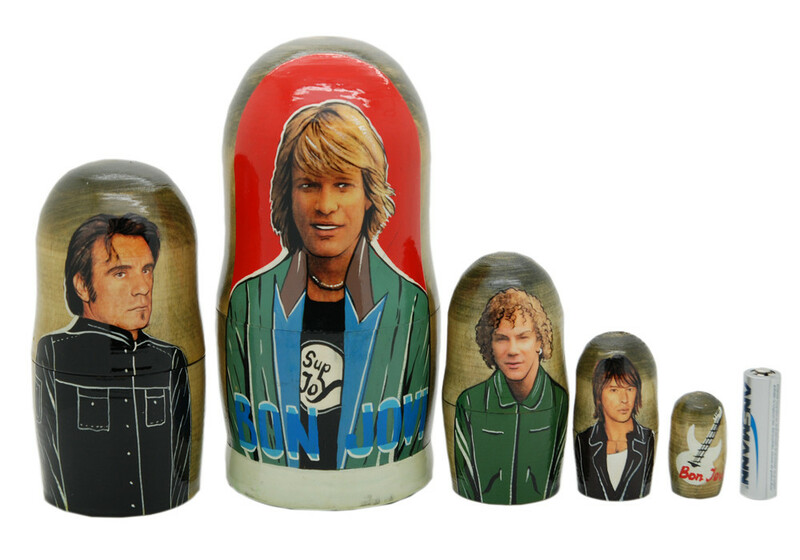 It is made of linden wood and then painted by a professional matryoshka doll artist. 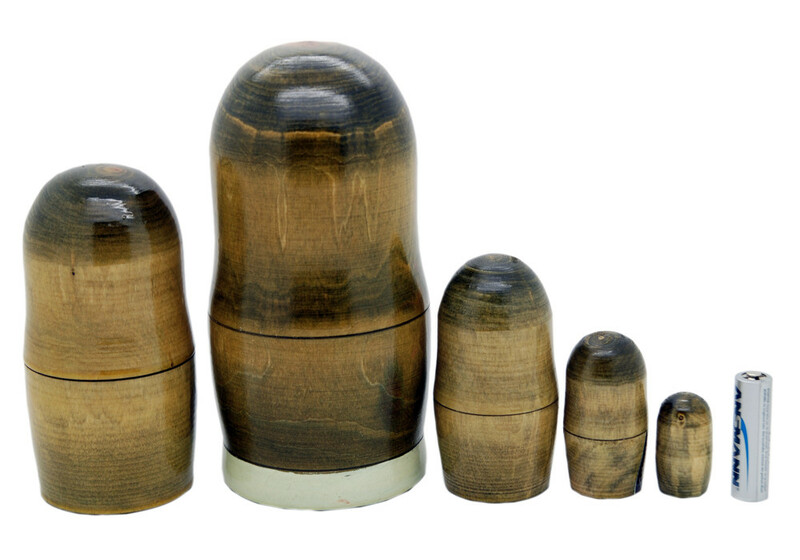 It is a funny matryoshka doll, and each smaller piece of the set fits into the next larger one. Each matryoshka is polished with 3-5 layers of crystal clear lacquer.